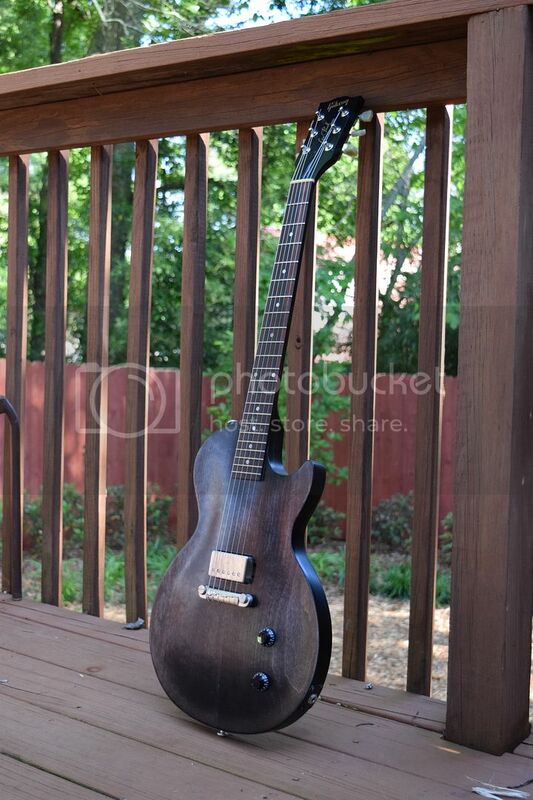 Which knobs for this Les Paul? Discussion in 'Guitars in General' started by poolshark, Apr 17, 2016. Just finished a few tweaks to my new Les Paul CM, pictured below, and I'm thinking new knobs are in the pipe. Any ideas? Da Geezer and theon like this. Black reflectors or witch hats. 27sauce and Millo 3.1 like this. If it was mine I would put unmarked ebony on there. gmann and theon like this. Clear speed knobs. AKA hat box knobs. I'd go for either the knurled chrome (or better, nickel if they're out there) you sometimes see on Telecasters, or with wood that matches the fretboard if possible. SgtThump, Baxtercat, mikebat and 1 other person like this. That guitar looks champ BTW. Reflectors IMO would look good. The chrome caps would match your hardware and the black bottoms match the darkness of the guitar. Personally hate wooden knobs. Gold reflector. The gold will pick up on the warm undertones of the color of the wood. The reflector will add pop. TTBZ and phazersonstun like this. 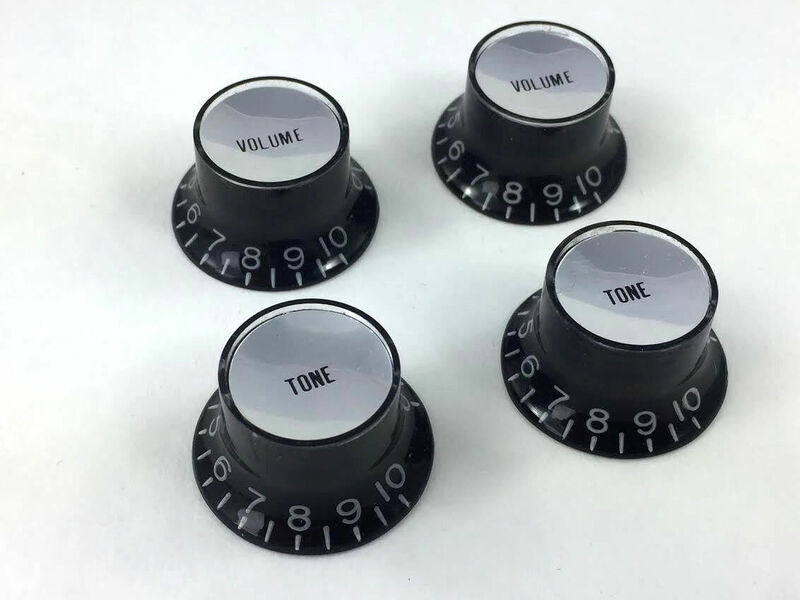 I would look at black speed knobs or nickel tele knobs. Of all the cosmetic choices I have ever had an opinion about, I think this particular guitar would make any knob chosen look great. I was completely floored by the pic and couldn't scroll down to read the post for a good 30 seconds. TTBZ, Tommy Biggs, poolshark and 2 others like this. 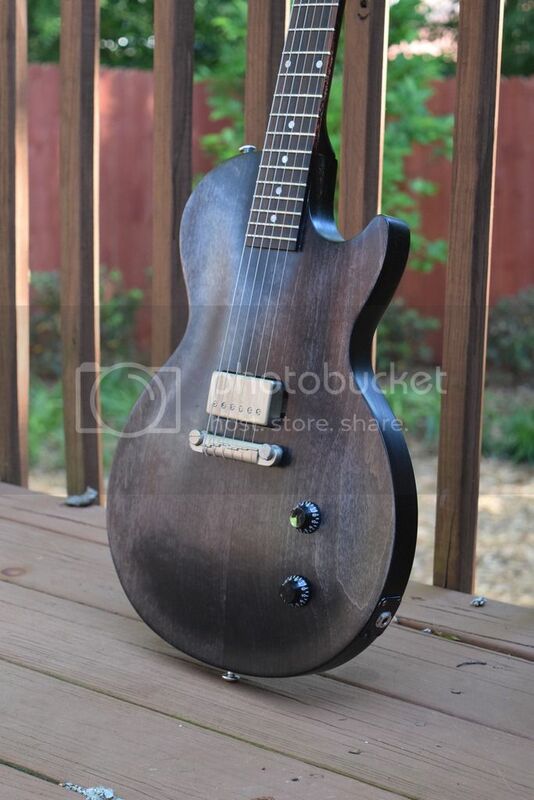 I was thinking black reflector as my 1st suggestion but, unmarked ebony, that would look perfect on this guitar. What guitar is this, where did you get it? It is badass lookin'! Very cool! Another vote for tele knobs. Brass ones. Thanks for the recommendations! I've been considering a bunch of this stuff. Could do metal knobs, like a set of Glendale Grip-O-Matics in their raw deal finish. Or some aged gold Gibson bonnets could look good, though rosewood would match the fretboard. Clear would look cool (and show off the pots underneath), and even the black is growing on me. Wish I could try them all without spending a fortune. Chrome speed knobs. You already have the bridge and pickup chrome. Match it up and off to the races! Enjoy! Here ya go & have at it. Now, don't come back until you settle on something. 27sauce and Tommy Biggs like this.